Enjoy all the benefits of a NEM Plugger and Capper in one space saving footprint. 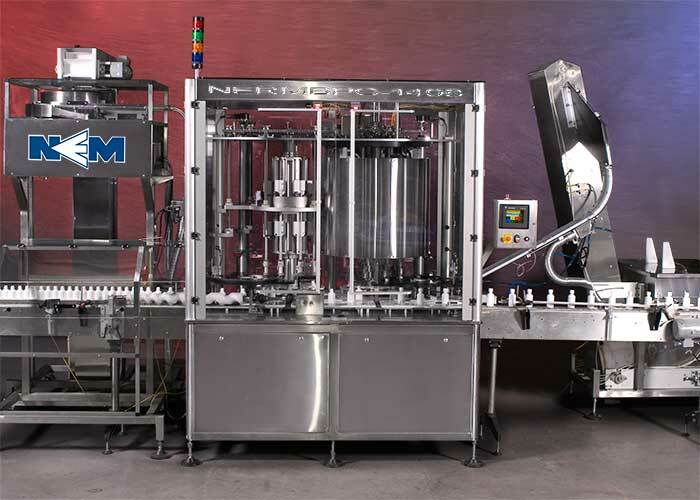 New England Machinery’s Rotary Monoblock Plugger/Capper places plugs or fitments securely into containers then a screw cap is applied. NEM’s electronic torque control provides repeatable applied torque.